I couldn’t be happier with the results, even though it took almost 4 months of effort, involved 17 years worth of blog posts. Even so, it too me a long time to commit myself to going forward with a project to redo it – I would back away every time I thought about it. I suppose that is a form of fear. I don’t know if ‘scared’ is the right word to use, but I was certainly overwhelmed by the idea of taking on a project to completely redesign it, given its vast scope. Fear and change go together like a glove. The scope of the latter feeds the growth of the former, until you find yourself in a point of paralysis. That’s where I was with my Website. Designed in 2009, it was becoming a creaky wreck, hello up by plugin duct-tape and code hacks. It didn’t scale to mobile and tablet devices; it was bogged down with design hacks; it was starting to look like a shambolic wreck. And by happenstance, I came across a company, Studio1 Design in Melbourne, Australia, that I think instantly and quickly understood the essence of what I do, and how to best present myself to the world. I took a deep breath, and plunged into the deep end last December. I launched the site on the weekend. There’s a heck of a lot of ongoing cleanup and reorganizing yet to do on the background – my first blog posts go back to 2002 – and yet it looks sparkly, fresh, new, up to date with modern times. 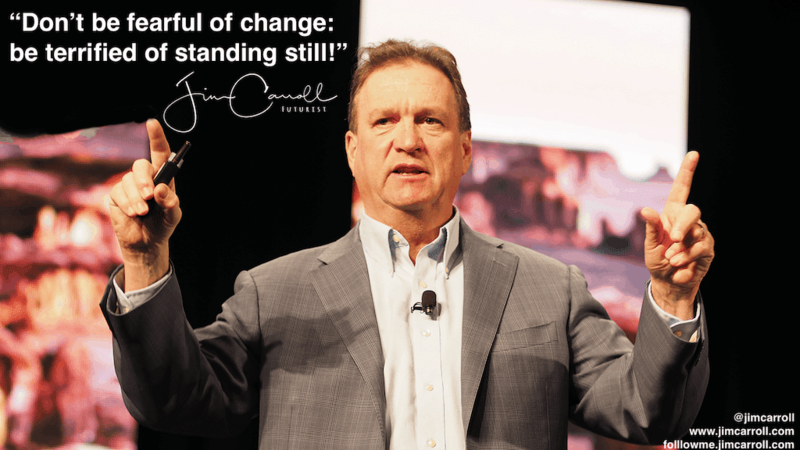 It’s easy to fear the scope of change – but it’s even worse if you find yourself standing still and falling behind!